Transactional Giver or Transformational Giver: Which One Are You? | Waccamaw Community Foundation | Connecting donors with causes they care about. Transactional Giver or Transformational Giver: Which One Are You? In this month’s Waccamaw Wisdom, Karen Minogue discusses two key types of giving (from this Forbes article on the topic.) Suggestions for future topics are always welcome at [email protected]. According to Kris Putnam-Walkerly, global philanthropy advisor and author of Confident Giving, Sage Advice for Funders, “Giving happens in many different ways.” Two of those ways are transactional giving and transformational giving. Both types are satisfying, but which type of giving is more impactful? Images of horrific damage brought on by natural disasters, the likes of which caused hundreds of billions of dollars of loss in the United States, Puerto Rico and the Caribbean, Florida, and Texas in the past 12 months moved many to send money in response. These contributions helped address an immediate need. The same is true when we support a local food pantry to provide meals for hungry families, or make a donation to a domestic violence agency to help battered women escape abuse. This type of transactional philanthropy is important and necessary to help those in immediate danger or crisis. For many givers, that’s satisfaction enough. However, Putnam-Walkerly asks the question: “But what happens when we think more strategically about the needs in question? What if we think not about making transactions to help meet needs, but about changing the conditions that create the needs in the first place?” She calls this: Transformational Giving. Transformational Giving is a term that has lots of other names. Maybe you have heard a few of these terms: funding upstream, addressing root causes, funding proactively moving the needle. They all mean basically the same thing. The idea is that Transformational Givers are focused on creating change for the better by transforming current practices and policies to improve conditions for entire populations or communities, not just for individuals in need or in crisis. Transformational Giving does not happen in a vacuum. Work with a host of partners. Even the largest funder or giver in the world cannot transform a system or policy on his or her own. Transformational Giving requires the work of many like-minded people, aligned for a common purposes. Identify actions other than money, such as advocacy or research, to achieve their ultimate goals. Communicate openly and often. For people to be willing to change systems and practices, they need to feel informed, heard and included in the process. Leverage all assets available. Money is just one asset that funders can lend to address a systemic problem. In addition, they can lend their reputations, intellects, voices and connections. Commit for the long term. The problems that currently plague society did not spring up overnight, and their solutions won’t either. Funders and transformational givers must be willing to commit to a targeted focus for years, if not decades. Of course this runs counter to the notion that grantmaking from major funders must deliver demonstrated results with a year or two or three in order to be considered a success. Are clear about long-term goals and learn constantly. They understand that transformations are complex undertakings and take time, where long-term goals may be adjusted or modified along the way. Whatever way you care to give, Waccamaw Community Foundation is here to help. 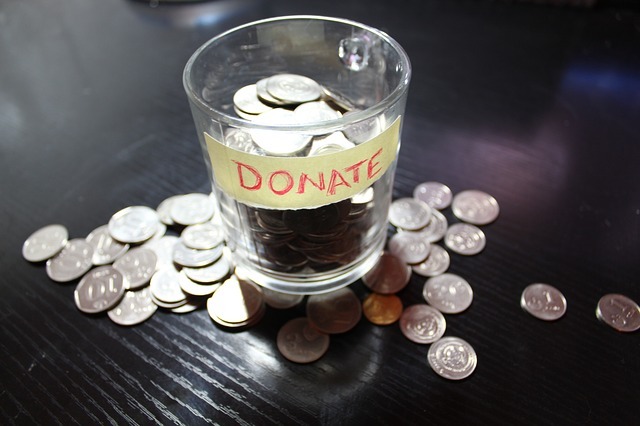 We take a proactive approach to working with donors. We want to build a strong relationship with you so we can help connect you with causes you care about. There are many ways for individuals, businesses, and organization to get involved with Waccamaw Community Foundation, like joining our Community Partnership Program or by giving with us through the Waccamaw Community Trust Fund which works to address the needs of our community. In the past 10 years, we have awarded more than $18 million in grants through competitive programs, impact investing and donor-directed funding. Karen Minogue is poised to help you set up a charitable fund in as little as one day to support the causes you care about. Call Karen at 843-357-4483 or e-mail her at [email protected] to find out more.